Let’s face it, humans are down for any excuse to take a photo of themselves. It’s Monday, you’re rushing, you forgot to create a post for today, what do you do?! 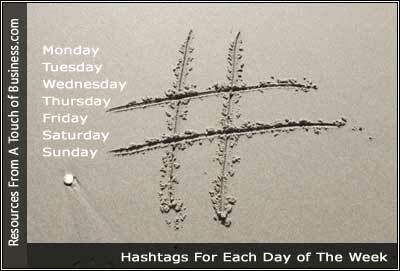 Check your handy list of hashtags to help you spark that Monday post and even frame out your full week of content. Hashtags also act as an immediate search term, which can help make your posts more visible to a wider audience.